Mali has a total population of about 13 million people comprising different tribes and ethnic groups. The largest group is called the Bambara, followed by the Songhai, the Mandinka, the Senoufo, the Fula and the Dogon. The Dogons, though small in number are very famous for their art works all over the world. Officially, the language is French, but the true lingua franca of the people is Bambara, but there are more than 30 other languages spoken. The annual growth rate in Mali is about 2.7% with most of the people living in rural communities well supported by nature to do agriculture. Mali, officially called the Republic Of Mali, is a land locked nation in the western part of Africa, divided into 8 distinct regions.. Based on its size of .77 million square miles, it is the 7th largest country in Africa and the largest in West Africa. 7 countries surround Mali with Algeria to the northeast, Niger to the east, Burkina Faso to the southeast, Ivory Coast to the south, and Senegal and Mauritania to the west. The capital is Bamako, and most inhabitants live in the southern part near the Niger and Senegal Rivers. Agriculture and fishing are important activities. Mali is rich in gold, uranium, and salt. On the map, Mali looks like a butterfly, but the southwest wing looks smaller than the other one. There are dry periods in the northwestern part of the country because of its nearness to the Sahara Desert, and the climate is primarily arid desert or semi desert. The Niger River influences life in the Sahel region (the central part of the country), where its waters are highest between August and November. The trees and vegetation in the southwestern region of the country are greener and more attractive as a result higher annual rainfall in the area. 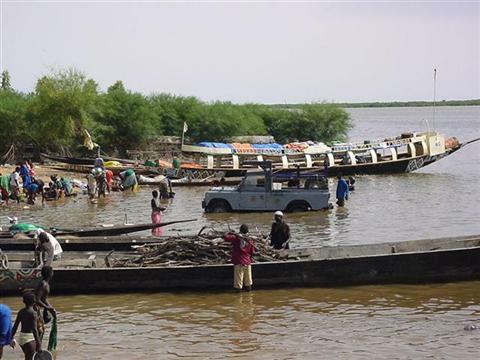 The only prominent geographic feature in Mali, the Niger River, is a great asset to the country, providing transportation, irrigation, and fish between the Sahel and the southeastern region of the country. 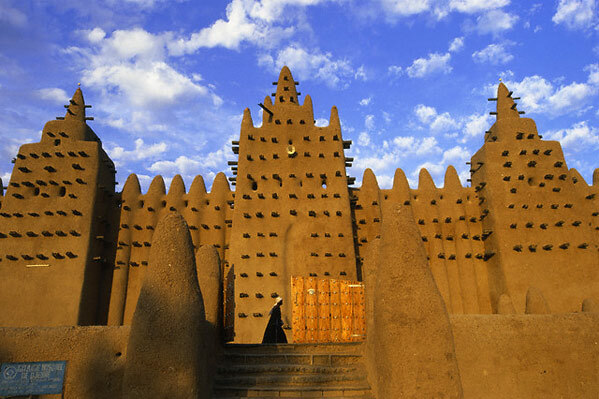 Today's Republic of Mali was once called the Mali Empire when it was among the West African Empires that governed the trans-Saharan trade routes. Other Empires included the Ghana and Songhai Empires. 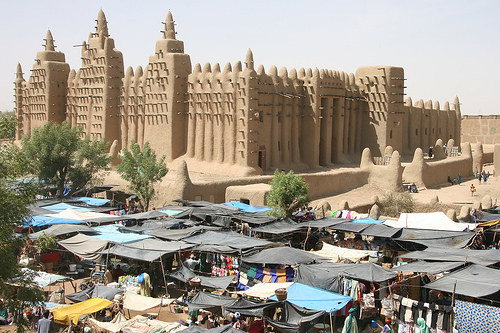 In the 14th century, even when the Ghana Empire had fallen, the Mali Empire was at the height of power and respect, controlling most of the gold trade along the trans-Saharan routes with authority. In the 15th century, the Songhai Empire took over the other empires and maintained control until the end of the 16th century. The creation of sea routes by the Europeans led to the loss of the empires since there was no more need to govern trade activities that no longer existed along the trans-Saharan trade routes. 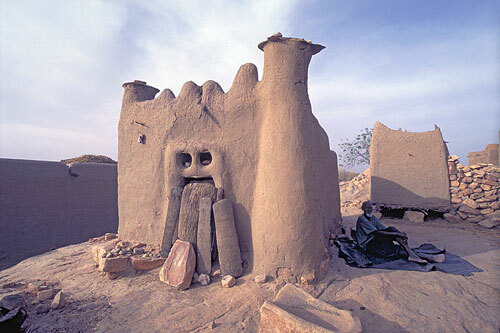 In the late 19th century, Mali came under the colonial rule of the French. They began seeking independence in 1959 and on September 22, 1960, the dream was achieved. Today, Mali has a multi-party democratic government. 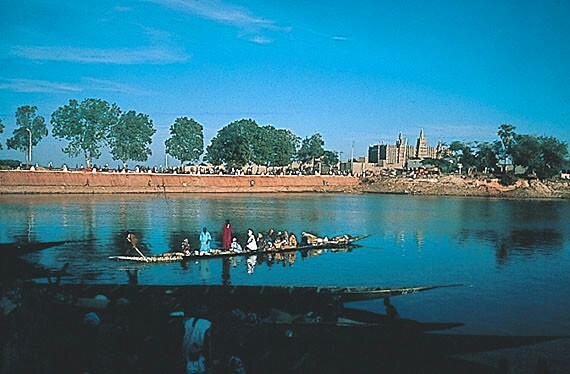 Mali is not known for nightlife, but there are activities that people engage in to mark the end of the day, including visiting the bars located near the rivers. Live drum performance groups also come around for the people's delight, and occasionally the performers include native men and women who sing and dance to their traditional beats. Tourists can also spend the night with the Tuaregs around a campfire with entertaining music and daunting mock sword fights. There are bars dedicated to holding dusk to dawn parties with delicious food comprising both European and local dishes. The Malians love music and they are excellent musicians. Their original music comes from the griots (people that keep memories). In addition to music, the Malians are known to be good in literature, though the literary tradition is mainly informal. The older ones teach the younger ones how to sing their histories and stories. In this regard, Mali's best-known historian, Amadou Hampate Ba, has been commended for writing down these oral traditions for posterity. The Malians, though of different tribes and ethnic groups, have combined festival periods in which they wear flowing colorful robes called boubous.